The 2018 Entente Florale Awards Ceremony were held in Tullamore, County Offaly in Ireland on Saturday 22nd September 2018.
is located in the southern part of the county of Salzburg, situtated in the alpine area of Hochkönig on an latitude of 1071 m. Historically founded by the miners searching for iron more than 20 centureis ago. Nowadays agriculture and tourism are the base for economoy and the main source of income. Enthusiattic inhabitants organized in diverse clubs and associations care for their green environment all year round. Agenda 21 as well as participation processes play an important role in the development of the future of the village. Tourism is mainly orientated to winter tourism, but also soft summer tourism (hiking, biking, seminars) is increasing. Sic E-bike charging stations and one electric vehicle charging station have been installed during the last years and are used bothy my inhabitants and by tourists. is situated in Belgium in the Northeast corner of the province of East-Flanders, along the eastern border of rural Waasland. It is found on the left bank of the river the Scheldt, directly across the city of Antwerp. Outside the harbour and industrial areas there is still ample opportunity for recreation to make a stay in Beveren enjoyable to the full. The extensiveness of the fertile polder lands, vast and quiet, alternates with the intimate landscape of meadows fringed with poplars. Follow one of the bicycle routes or discover the surrounding areas during a walk in the countryside. Quite a few valuable buildings deserve our full attention: churches, as well as monuments of civil architecture. The parks and scenic areas, of which several are protected as landscape, offer peace and quiet to relax for a while. 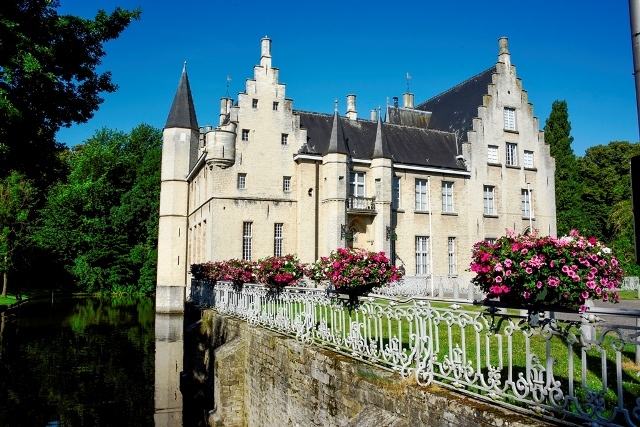 is a semi-urban, semi-rural city located in the south-west of Brussels, in the province of Walloon Brabant. The centre, which holds the administrative city and the historical heart, is bordered by 4 villages, namely Baulers, Bornival, Monstreux and Thines. Surrounded by a large green belt, Nivelles is actively involved in a policy of environmental protection. 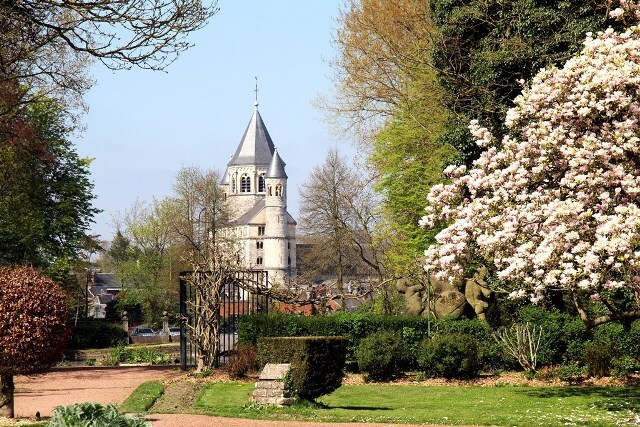 Nivelles has a particularly rich associative, cultural, folkloric, educational and economic life that appeals to many visitors and tourists alike. Finally, with its Cultural Centre (Waux-Hall) and its Municipal Museum, Nivelles remains a renowned home of arts and culture. Crowned with its glorious past and despite the vicissitudes, the City turns resolutely to the future and is currently experiencing a real socio-economic expansion, so that it is often described as the economic capital of Walloon Brabant! 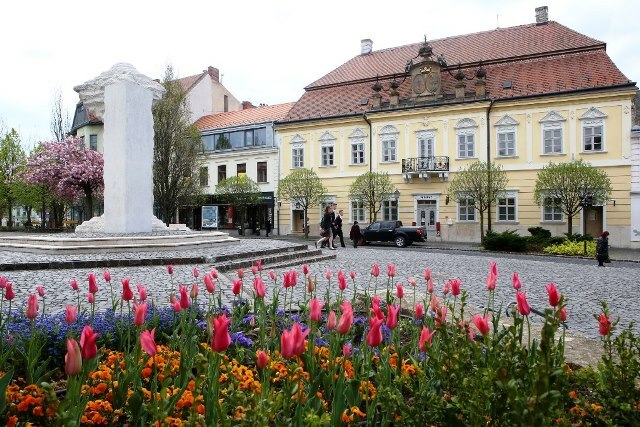 is located in the Pardubice Region, about 15 km from the town of Litomyšl, as the name implies. The two cadastral areas of the village Poříčí u Litomyšle, including the local parts of Poříčí, Zrnětín and Mladočov, are spread on the boundaries of the two geographical units – the East Bohemian Plateau and the Bohemian-Moravian Highlands, which are divided by the so-called Creek without a name (Bezejmenný potok). Its left bank is lined with crystalline rock – granite while the soil on the right bank has the character of sandstone and marlite. The cadastre of the village has an area of ​​650 ha 18% of which are afforested with mainly spruce growth, sometimes with the admixture of pine, larch and beech. The modern history of the village dates back to 1990, when it was separated from the municipal centre of Dolní Újezd, to which the village was assigned under the totalitarian regime. After completing the legislative process related to the independence of the village, priorities were set for further development of the village, where the local countryside renewal program became the main focus. The village prepared new building plots resulting in the increase of the population, which is the most important for the viability of the village. At present, the village has 470 inhabitants. These citizens subsequently contribute to the overall image of our village, including local cultural and social life by their activity, care for their own or municipal property, greenery maintenance and other activities. The village council is trying to create a positive attitude of the citizens of the village towards their birthplace and corresponding pride in it. was first mentioned in 947 a. C. An enormous development away from agriculture to industrial and trading economy has taken place over the last hundred and fifty years and has changed Vrees in many ways. Employment has increased and since 1980 the population has doubled from 900 to 1800 inhabitants. Vrees nowadays has a pre-kindergarten, a kindergarten and elementary school. As there is a great sense for nature and thus sustainable development, people in Vrees have had a focus on renewable sources of energy since 1996. As a result, Vrees received the title of “acknowledged village supplied by clean energy“. In 2016 the “Lower Saxonia climate award“ went to Vrees. The “centre of ecological studies“ with more than 200 events a year shows the deep appreciation of environmental education. Therefore, too, there is a natural reserve in the nearby moor-area with a restored sheep-sty, a viewing tower and an educational trail. Because of the many oak-trees in the village centre Vrees is called “a-thousand-oaks-town“. Tourism is a growing sector. 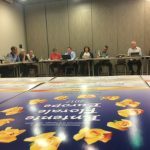 With the new project “We for you – Aging in Vrees“ Vrees tries to find an answer to the challenges of the demographic change. The project was awarded with a special price for demographic development in the contest “Our village has a future“. is an innovative and growing city with strong relations to both economic and environmental development. Being only 380 years old and becoming an industrial heart chamber of maritime production, Papenburg never lost track to its special geographic location as an early moor-settlement. It is a main priority for the city and the companies, to combine their activities with mayor efforts for a sustainable ecological development. Papenburg is home of one of the biggest shipyards for cruise ships in the world, the Meyer Shipyard. The company, owned by the Meyer family in Papenburg in the 7th generation, is a market leader in innovation for clean propulsion-technics for cruise ships. In 2014 Papenburg hostet the “Niedersächische Landesgartenschau”, the central flower-show of the county of Niedersachen, wherein Papenburg is located. More than 500.000 visitors experienced Papenburg as a flourish and friendly city. Lot of the efforts and improvements in the green infrastructure of the city maintain today, so as the new central park in Papenburg. has been the City of Queens since Queen Gizella – so for merely a thousand years. It is a feminine phenomenon. It is worth following in her footsteps and let her lead us through the winding single street of the Castle, which can be found only in a few places in Hungary, or along the Brook Séd meandering in a flowery valley, all the way to the Zoo and even beyond. No matter when and with whom you arrive, there is always something great to do, to see and to taste in Veszprém. Let us discover the thousand colours of this buzzing city and get carried away with the experiences! The Veszprém Valley and the Love Island are amongst the most beautiful parts of Veszprém. With its natural waterside flora and fauna, and the almost thousand years old historic past it is one of the most popular places in the city. Our principles are to preserve, to renew and to pass on the culture, the tradition, values, our constructed and natural environment. Some examples from recent times: about 2 hectares of the green areas of the Séd valley has been renewed, the industrial part of the downtown has been reconstructed and functionally enriched while a residential area of the city has been renovated within the program of the “Emerald City”. The functioning of the city is marked by more successful cooperation with different partners. 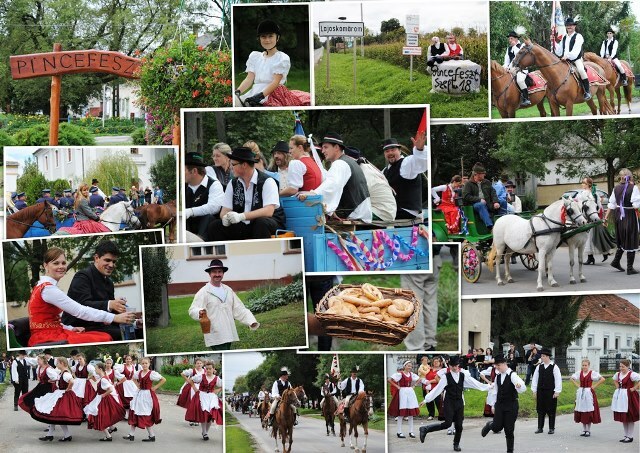 is one of the youngest village located in Fejér county in Southern-Western part of Hungary. 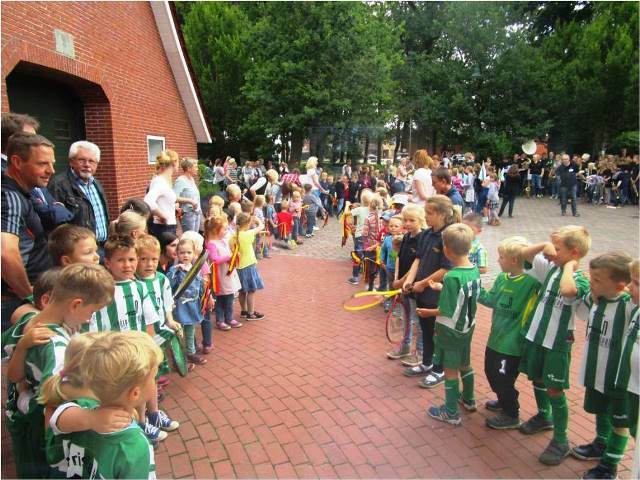 The municipality has more than 2200 inhabitants who are proud of its farming traditions. The village incorporates the settlements of Középbogárd and Külső – Sáripuszta. The village makes a pleasant impression with its broad streets and well- groomed parks. According to the sources Gereben Vas – a famous Hungrian poet- referred to Lajoskomárom as the first „orderly village“ in Hungary. 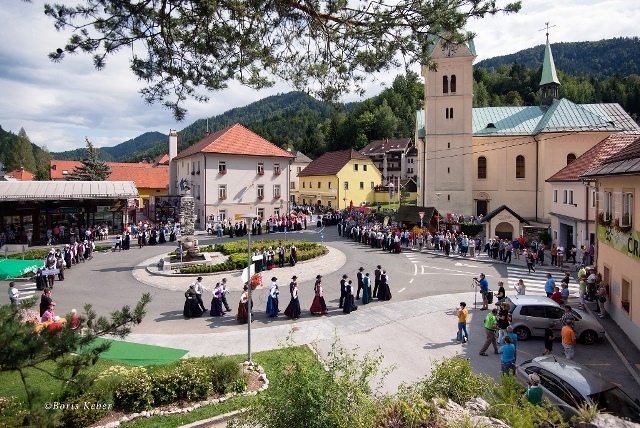 The first inhabitants of the village were mainly Lutheran Swabians, Calvinist Slovaks and Catholic Hungarian, who’ve been living peacefully with each other since that time. Agriculture is still the main source of income in the village. The vineyard plantation and the raw of cellars is a trademark of Lajoskomárom where you can experience the hospitality of the local people. I invite you to come and share in everyday life of the village! with a population of 8,010 inhabitants is the main market town in West Waterford. It has a variety of landscapes and is characterised by the river Colligan, the harbour and its coastline. Due to its location, Dungarvan supports a wide range of coastal habitats including, mudflats, sandflats, and salt marsh along with small areas of woodland and hedgerows. The town’s architectural heritage is very rich and includes King John’s Castle, the Old Market House Arts Centre, Devonshire Bridge, and St. Augustine’s Church Abbeyside. Dungarvan was one of three locations in Ireland to take part in the national Smarter Travel Project; this initiative was aimed at promoting, among other measures, cycling and walking, the use of public transport and reducing car travel. A number of infrastructural projects have been completed in last few years which complement the behavioural change. These include enhanced cycling facilities (both high quality amenity routes and cycle parking in the town centre). Dungarvan is located 46kms from Waterford City on the western end of the Waterford Greenway, this Greenway with its stunning views, tunnels and Aqueducts has really captured the public’s imagination since it opened in March 2017 and attracted over 240,000 visitors in its first nine months. 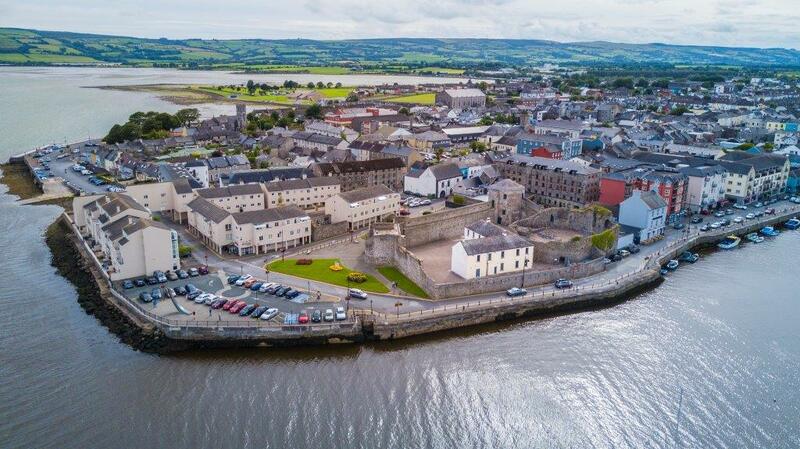 The town has an active voluntary community who support such events as the annual West Waterford Festival of Food and the Sean Kelly Tour, in addition, in 2017 Dungarvan was awarded a Gold Medal for the first time in the National Tidy Towns competition. is a village with a population of 285, situated in the fertile valley of the River Nore. Surrounded by hills, its location is beautiful and is an environment rich in bio-diversity. The built environment has medieval and eighteen century influences. These charms, coupled with riverside and woodland walks, opportunities for fishing and visiting the renowned Woodstock Gardens & Arboretum close by, make it one of the most visited locations in the South East of Ireland. Our vision and commitment is to preserve & enhance our precious natural and cultural heritage with an emphasis on the present and future challenges of climate change and sustainability. Local voluntary groups and businesses as well as the school and church communities all collaborate to fulfil that vision. We also work closely with statutory bodies, the most important being the local authority, Kilkenny County Council. Our sustainable approach has us thinking globally and acting locally. stands on the confluence of two streams, with an area of about 47 square kilometres. It is located on the heights of the Apennines, but a few kilometres from the sea. It was an Imperial fief of the ancient Genoese noble families Spinola, Doria, Pallavicini until 1797. With the arrival of Napoleon I , it was united to the Duchy of Genoa. In 1861, with the unification of Italy, it was annexed to Piedmont. Its polymorphic territory is so much interesting from an environmental naturalistic point of view, that some of its areas, remarkable for their biodiversity, have been included by the region in EU safeguard programs. The upland is made up of hundred- year old beech, oaks and chestnuts woods, while its high-altitude meadows are covered with flowers such as gentians, cornflowers, wild orchids, wild lilies that colour the landscape from spring to late autumn. 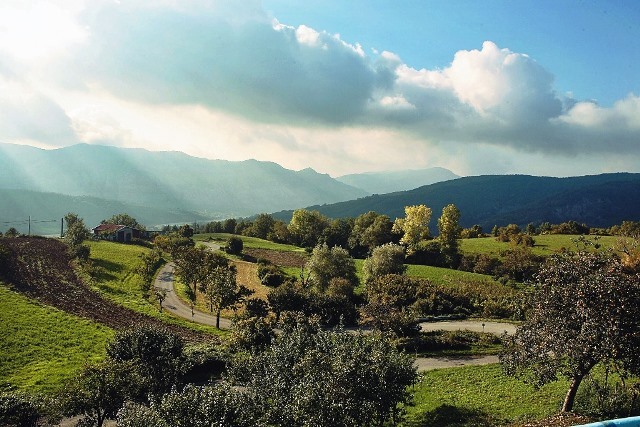 These places are crossed by a hiking network of great importance which connects the most fascinating ridges of the Apennines. is at an altitude about 1000 metres where the air is still clean and there is a moderate climates all the years. A delightful place immersed in the green of chestnut trees, it is the first village going up the Soana Valley. Along the road we can meet many hamlets and old houses with tipical stone roofs, straddle over two mountainsides near th historical center. Ingria is at the foot of the massif of Gran Paradiso and is a stopover for mountain lovers. This little place offer various itineraries of trekking as the visit to the hamlets in Codebiollo Valley. The track from Ingria to Frassinetto is a part of Alta via Canavesana, also recommended for the mountain-bikes. Big emotion is the “Flying Rainbow”, a steel-cable across the Soana river. There is a strong cultural tradition visible in local events and the open-air museum with the “telling-houses”. Unmissible stage and point of informatin, the restaurant “Pont Viej” in Belvedere is located in the old oven, here we can enjoy with local food and to see the very old mill near the rock climbing wall. is a young town and municipality in northeast Slovenia. 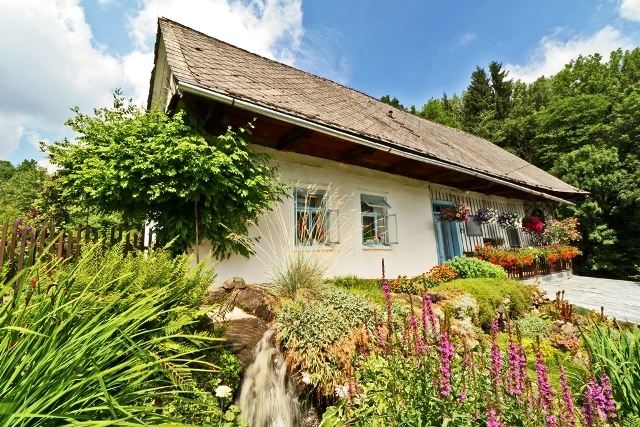 It lies on the slopes on Pohorje in the upper valley of the Dravinja river. The municipality covers an area of 67 square kilomenters at the foothills of the Pohorje range between 360 and 1517 meters above sea level. The municipality counts 6500 inhabitans and offers around 4000jobs. A reasonable share of the populaton is also employed in agriculture. The development of tourism in Zreče is closely connected to the company Unior (factory of forged tools). 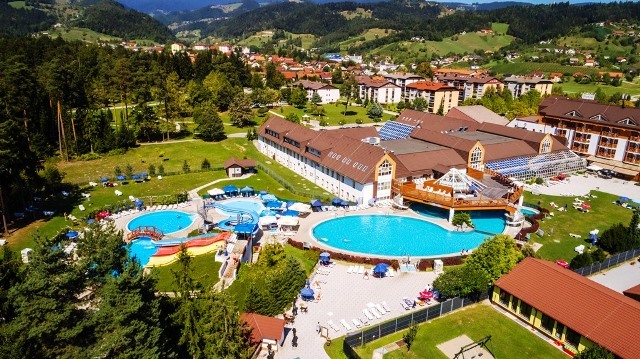 They have built the mountain resort and olympic centre Rogla, which is now one of hte largest sports and recreational tourist centres in Slovenia, and also the health resort Terme Zreče, which has higly developed spa tourism. The town decided to pursue sustainable forms of tourism and therefore they are eager to be involved in various sustainable projects. Zreče is surrounded by beautiful natural landscape and woodlands and offers numerous green spaces for relaxation and recreation. 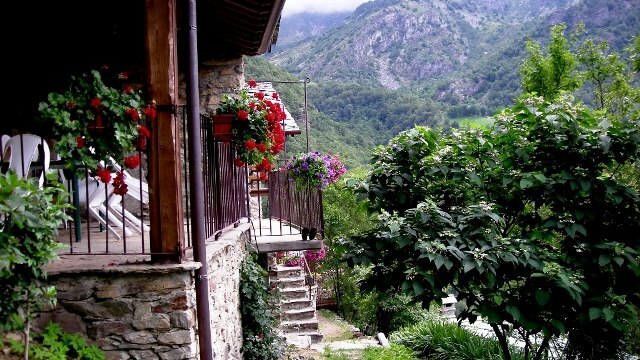 is a peaceful, picturesque village in the upper Meza Valley, where the landscape spreads from a narrow basin-shaped vallei into many small valleys at the foot of the high mountains. In the heart of the old village, first mentioned in 1137, visitors are welcomed by a monument dedicated to victims of the first and second World War. Four museum collections – the ethnological, olympic, beekeping and outdoor mining mueums – are of special interest, and two interactive information points of Karavanke Geopark help visitors in the village. Črna na Koroškem is a special place in many ways, especially the natural environment, characterised by its unique duality. It has a magnificent nature in its Alpine valleys and also a 350 years old industrial history with degraded but gradually improved areas. Special attention is paid to nature and sustainable use.